Gabriel Nathan is not only a loyal friend but he is also an extremely talented human being. 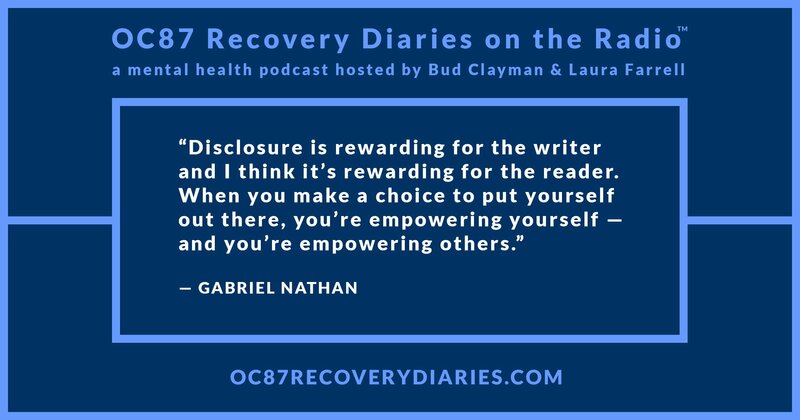 Gabe is a playwright, an actor, a mental health activist — and the Editor-in-Chief of OC87 Recovery Diaries. When I decided to step down as EIC at the website in December of 2016, Gabe was the first person I had in mind to replace me. Gabe had originally contacted me several years ago when my film, OC87: The Obsessive Compulsive, Major Depression, Bipolar, Aspergers’ Movie, arrived in theaters. Gabe had written me a very nice and detailed letter in which he told me why he liked the film and that we shared many interests, including writing. At first, I was hesitant about accepting his offer for a lunch meeting but his letter was so earnest (and he did like writing!) that I couldn’t turn him down. Our first meeting was friendly and I felt comfortable with him from the get-go — an accolade that I can’t give to most people. As our relationship developed, I knew I had made a friend for life. And as time went on, I knew I could trust Gabe — including handing over the reins of EIC to him earlier this year. I had wanted to move on to other pursuits and interests, but I had also wanted to make sure that the website would continue to grow and flourish, which it has. 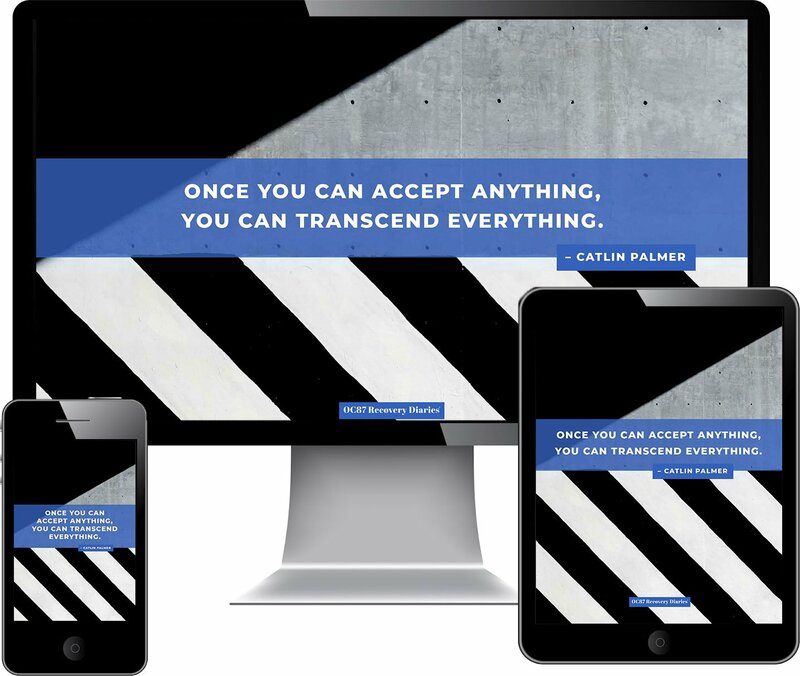 With the help of a great staff, which includes award-winning filmmaker Glenn Holsten, Gabe has produced a site that contains some of the best mental health stories in print, music, and film. His ability to bring talented artists to our site is amazing, while his ability to work with those artists is equally great. Making people feel comfortable comes naturally for Gabe. His compassion for others is rooted in the fact that he has had his own share of mental health challenges to contend with too. 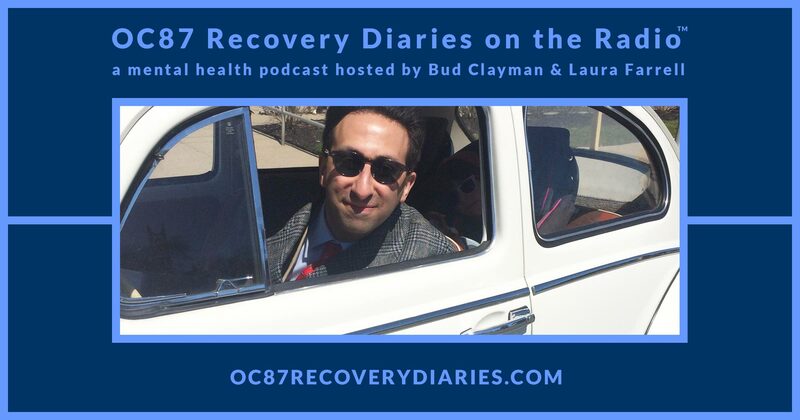 On the eleventh episode of OC87 Recovery Diaries on the Radio, Laura Farrell and myself are proud to interview Gabriel Nathan and hear his views on mental health, coping, and running the OC87 Recovery Diaries website. 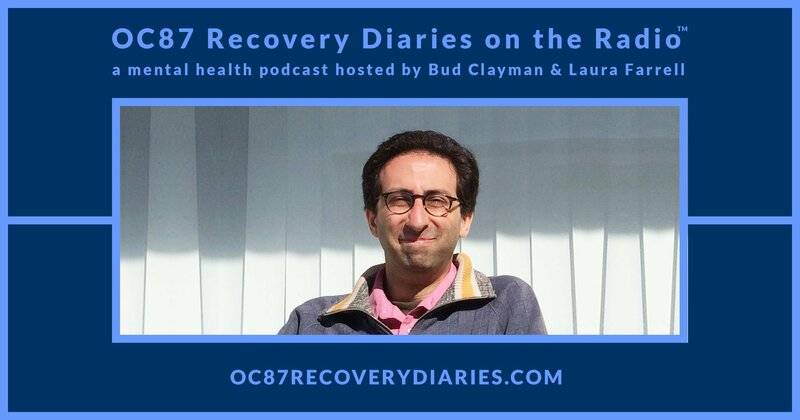 We hope you’ll listen to this profound and enlightening interview.